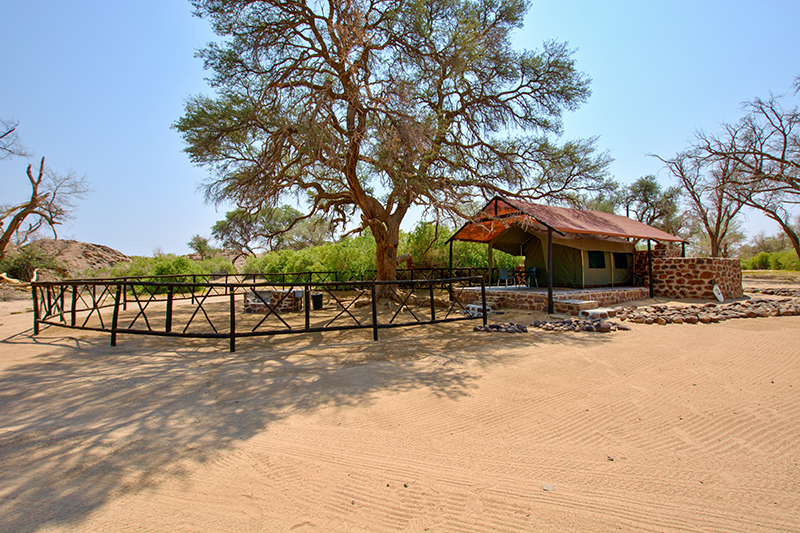 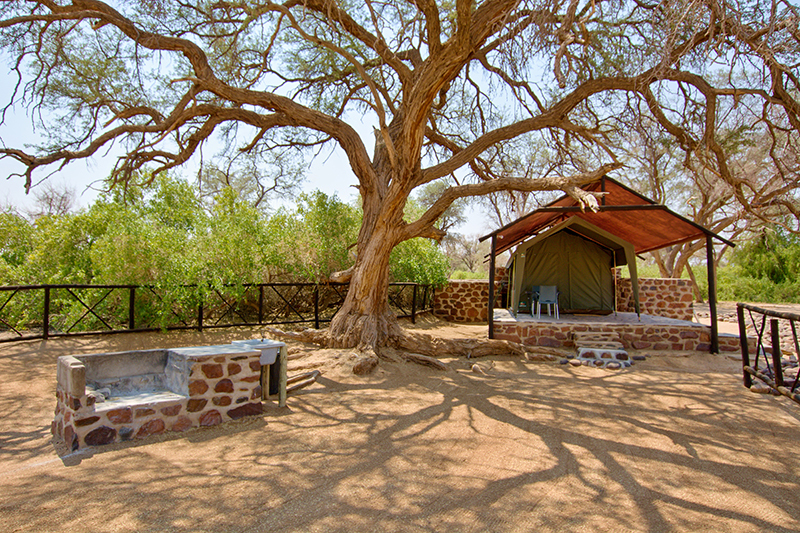 The Rustic Tents are spread out a few meters apart and situated under beautiful big Anna trees. 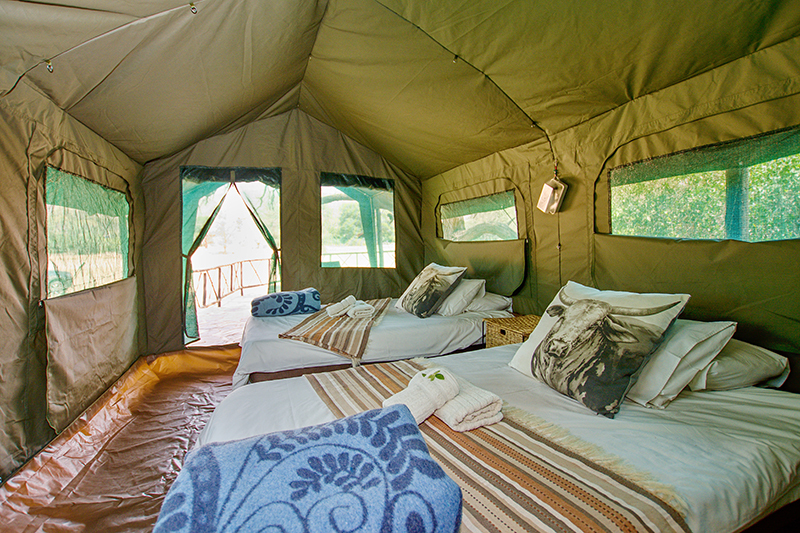 Each tent has its own braai area. 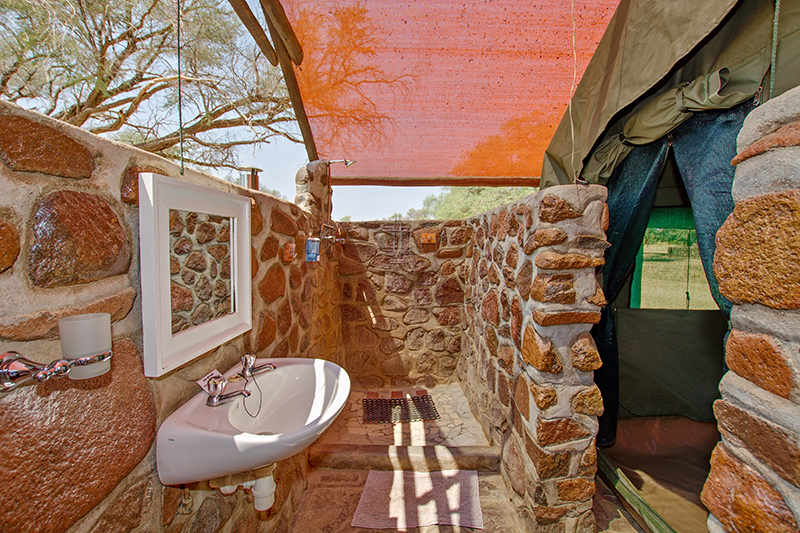 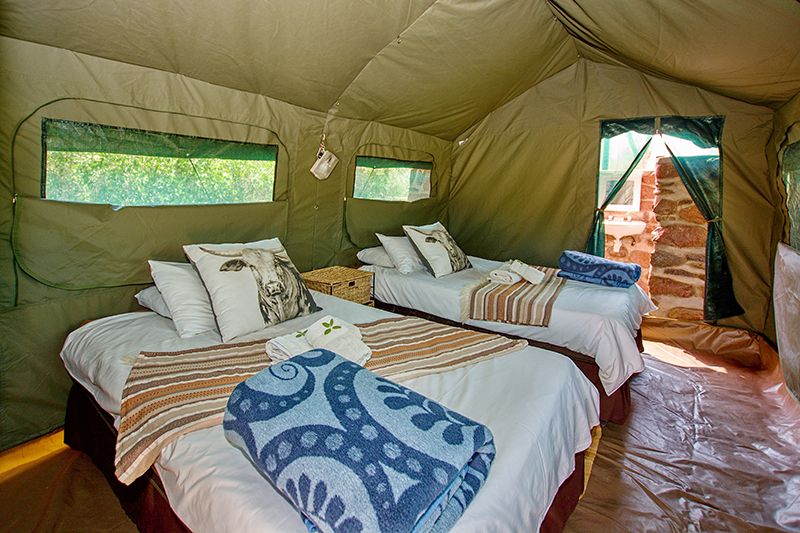 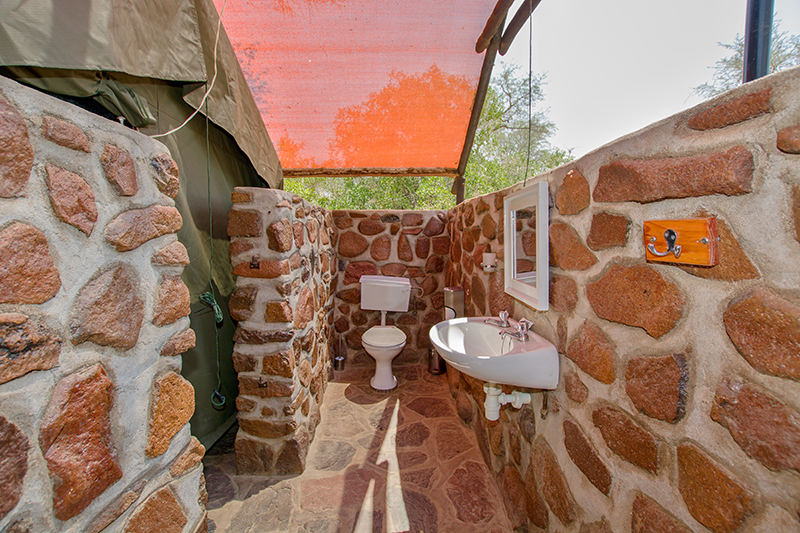 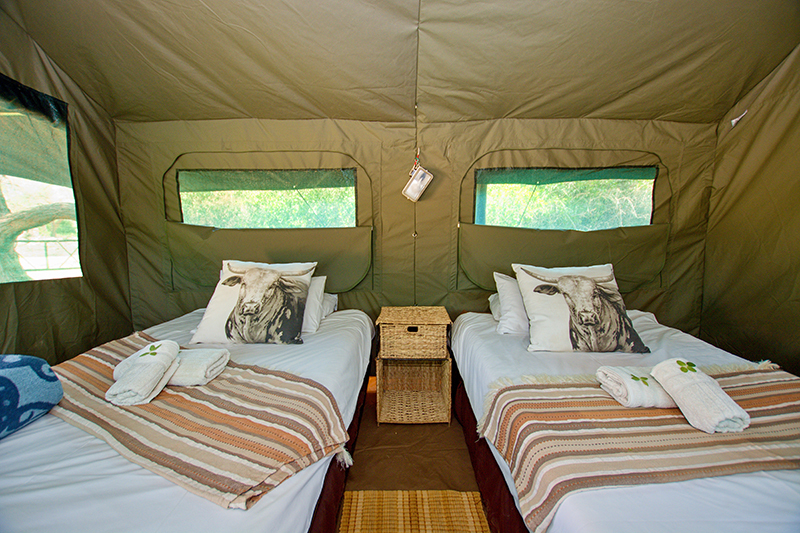 The tents have two ¾ beds in each with an open air bathroom at the back of the tent. 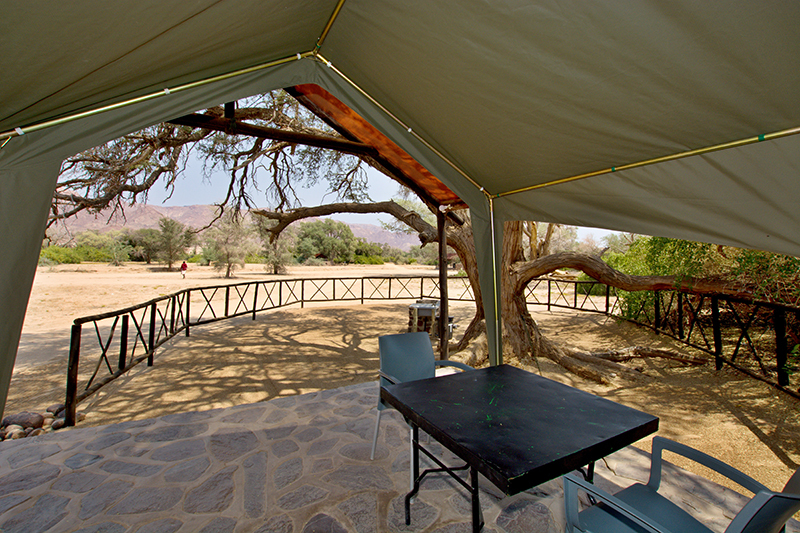 Tents run on solar power energy. 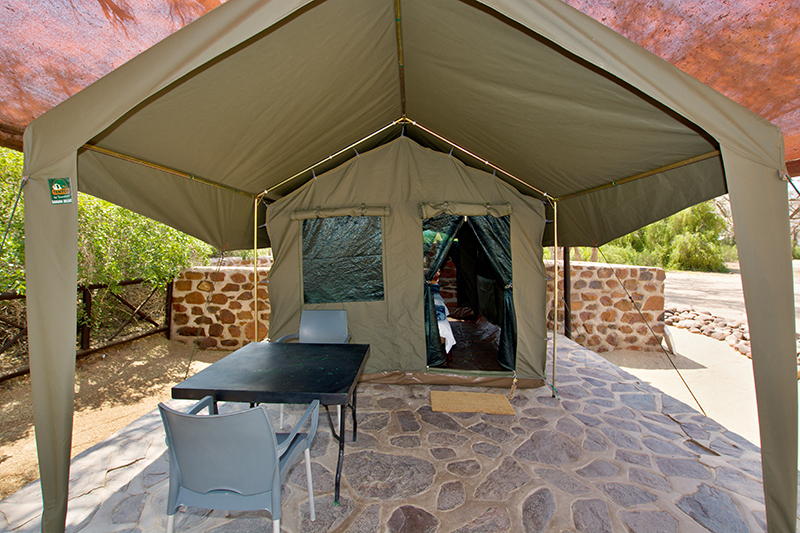 There are lights outside, at the bathroom and in the tent, but no power points.